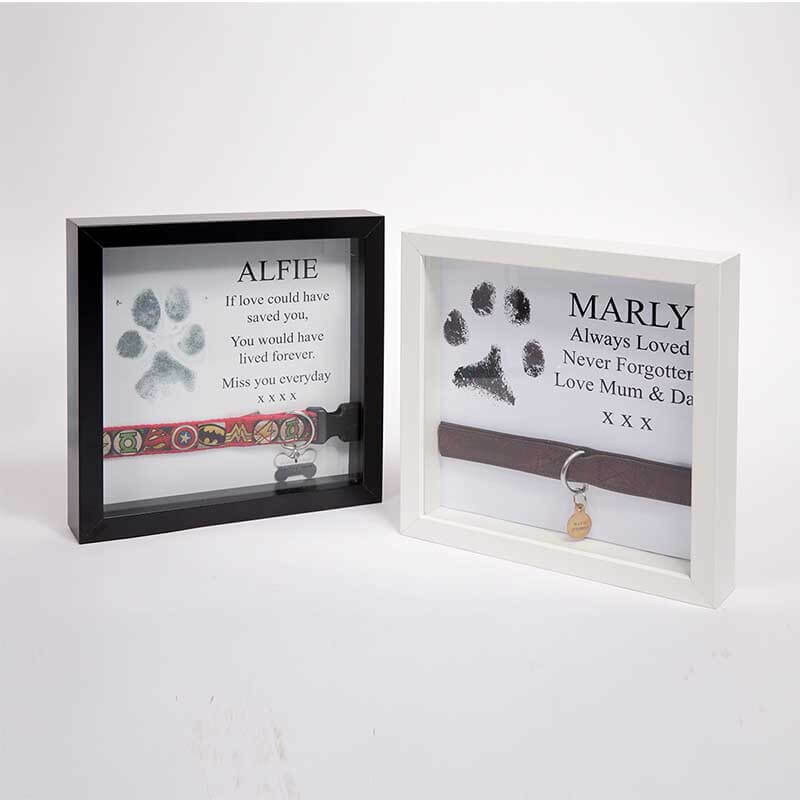 Put your pet’s paw print, special wording and their collar to treasure forever in a box frame. 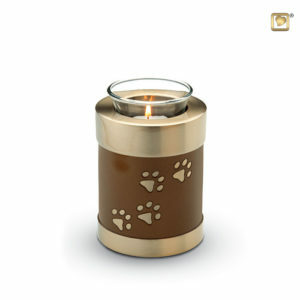 This means you can always keep them close to you in your home. *Please ensure the photo is of good quality. Please avoid low-resolution images of less than 200k. * Please note the larger collars (anything bigger than a small dog) need to be cut to be placed into the frame. 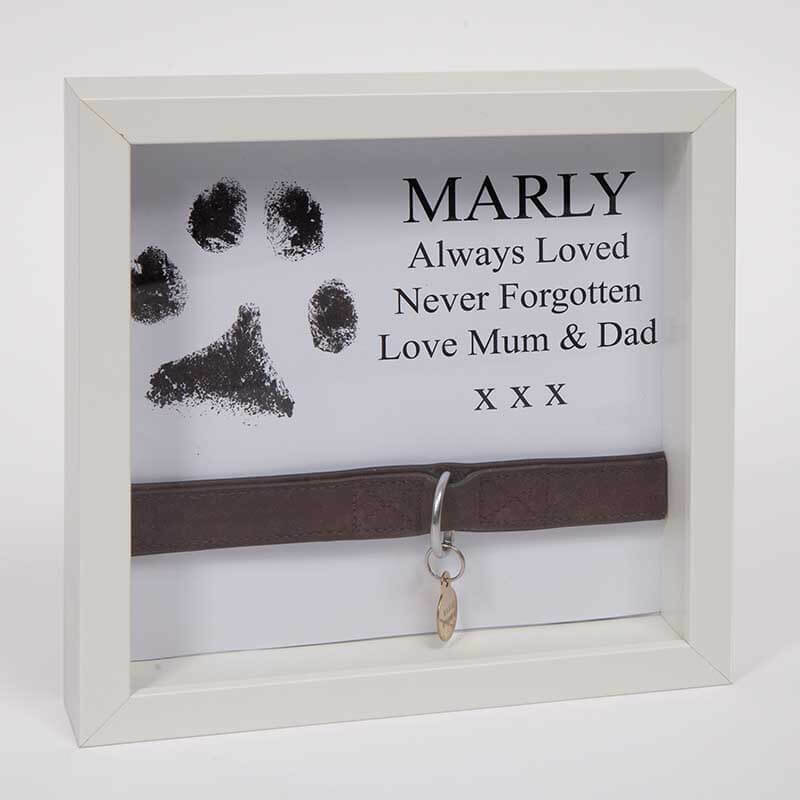 If you want to include the collar and tag into the box frame this will have to be sent in to Dignity Pet Cremetorium. 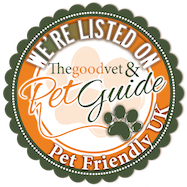 Please make sure your email address and telephone number are correct when ordering so we can contact you with instructions. Please note the larger collars (anything bigger than a small dog) need to be cut to be placed into the frame. 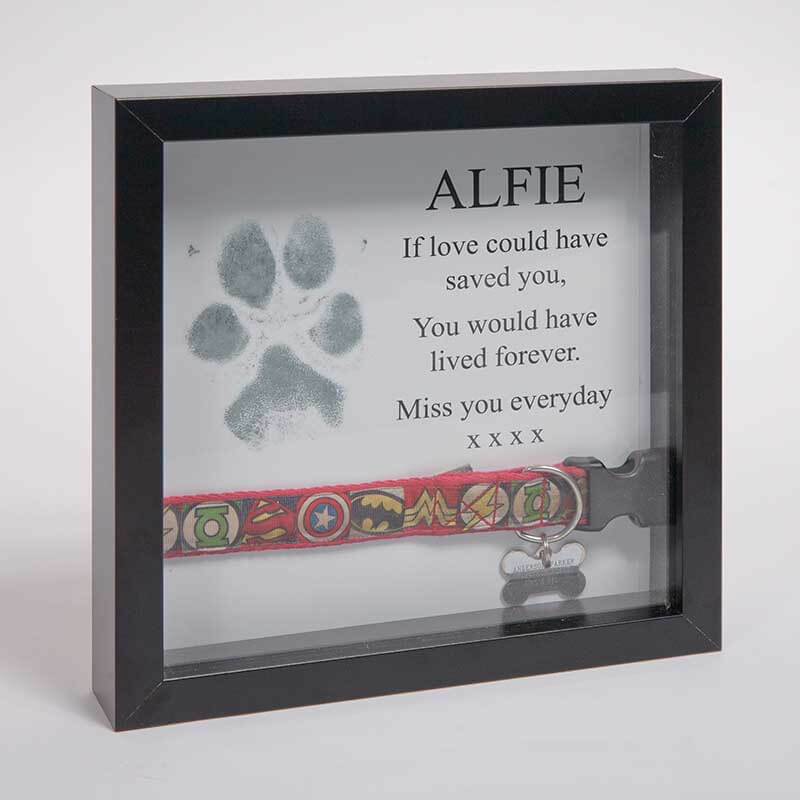 A token of pets toys, bells etc can be placed in the frame too. Please contact us to discuss.